One of the neat features in Windows 7 depends on hardware manufacturers doing extra work, so today Device Stage really only brings together the multi-function features of a "few hundred" devices, admits Gary Schare, Director of Windows Product Management. "Many of them offer what we call baseline printer support which means they don't have to do much work. But there's a couple of hundred printers that have invested in a true custom experience," says Schare. This year sees the first phone with the logo that means Device Stage support, the Sony Ericsson Walkman E Series, and the first two DSLR Device Stage cameras come from Nikon and Canon. 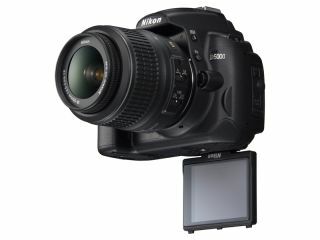 The Nikon D5000 Device Stage showcases Nikon's photosharing site and online tutorials. Today the tutorial link opens in a web browser, but that could change, says Schare. "They could have rendered this right inside Device Stage, but they don't. They run a Flash tutorial and that's the reason why they don't render this in here; on 64-bit Windows, IE is not able to host the Flash inside Device Stage and that will change when Adobe ships 64-bit Flash." More camera models will be supported; at first, Schare says: "it was a proof of concept that didn't even relate to what the most popular models are. Now the business guys at Canon and Nikon are super interested and they see this as valuable so they're going to really broaden the adoption". There's another reason development has been slow: "We don't have robust tools [that are] 'what you see is what you get', so you have to do the XML coding by hand. We are looking at some ways of making it easier." The next categories in Device Stage will be webcams and keyboards; the Microsoft hardware team decided to use Device Stage to help people find the software that lets them customise the programmable keys and that helped shift the way the Windows team is thinking about Device Stage. It's not just for multi-function devices any more; "it's really easy to come up with three or four tasks for any device," says Schare. "This area is meant to be for peripheral devices - but it doesn't have to be. For the next version of Windows [Windows 8] we're going to have a rethink on that. What other kinds of things maybe should show up here?"